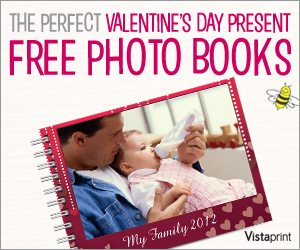 For a limited time, get one FREE customized Photo Book for Valentine’s Day! This 10 page, 4×6 photo book is a great way to give a personal, meaningful gift without spending too much money. Choose from a variety of designs to compliment your style and add your own text! The photo book is free, just pay shipping and processing (about $6).